We apologise for any inconvenience that may be cause while ProQuest carry out these maintenance works. Sunday 9 August 1 – 5 am. During this time the sites will not be accessible. Apologies for any inconvenience caused. Please be advised that Web of Science will undergo scheduled maintenance on Saturday 13 December 2014, to release new search functionality in the WoS version 5.16 release. During this time, access may be intermittent. Thomson Reuters apologise for any inconvenience this may cause. Zetoc Maintenance – Tues 2 Dec, 9 – 10 am. Service at risk until 12.00 noon. 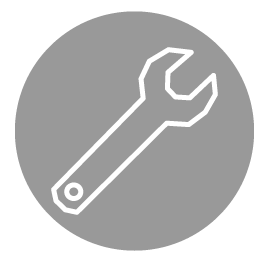 Please be advised that critical maintenance is required for the Zetoc Oracle database, this will take place beginning on Tuesday, December 2, 2014 at 9:00am. While it is expected that this may be completed in an hour, the Zetoc Service should be considered at risk until 12.00 noon and availability of the service database functionality may be intermittent during this period. Zetoc apologises for any inconvenience caused. Scheduled maintenance will be taking place on the Web of Knowledge site. Access to Web of Knowledge may not be available during the maintenance period. Thomas Reuters apologises for any inconvenience caused. Please be advised that Thomson Reuters will be performing infrastructure maintenance to EndNote online services and applications, including Researcher ID. To: Sunday 22 June 2014 17:00 BST (16:00 GMT). Please expect a complete outage to EndNote online services and applications, including ResearcherID, during this time.. Thomson Reuters would like to apologise for any interruption this may cause.